Hotronix MAXX20 Heat Press 16"x20" Trade Show Display Save $125! + FREE Stahl's Non-Stick Lower Platen Cover $55 value! Home > Clearance Items - Big Savings! 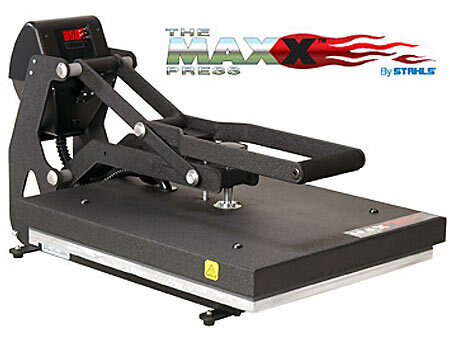 > Hotronix MAXX20 Heat Press 16"x20" Trade Show Display Save $125! + FREE Stahl's Non-Stick Lower Platen Cover $55 value! Condition: Factory trade show demo unit, Nearly new, Fully tested, Ships direct from factory. Warranty: Lifetime on heating element, 1 year on everything else.